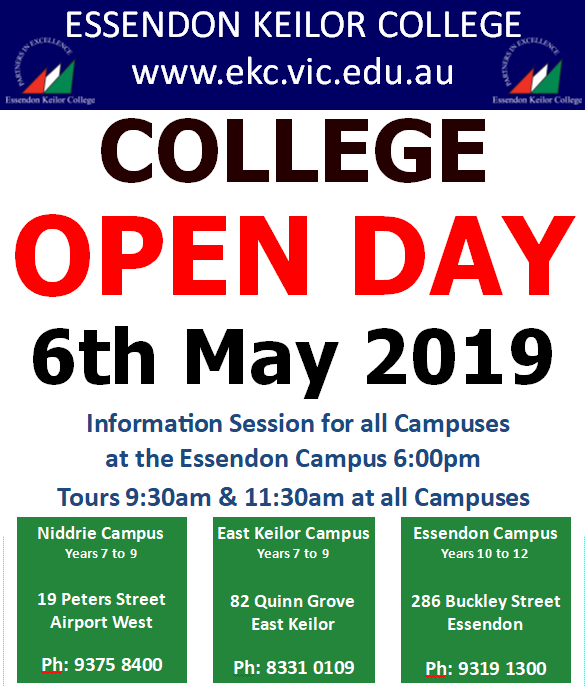 Essendon Keilor College Open Day is on Monday the 6th May 2019. Tours at Essendon, Keilor East and Niddrie Campuses at 9.30am and 11.,30am. 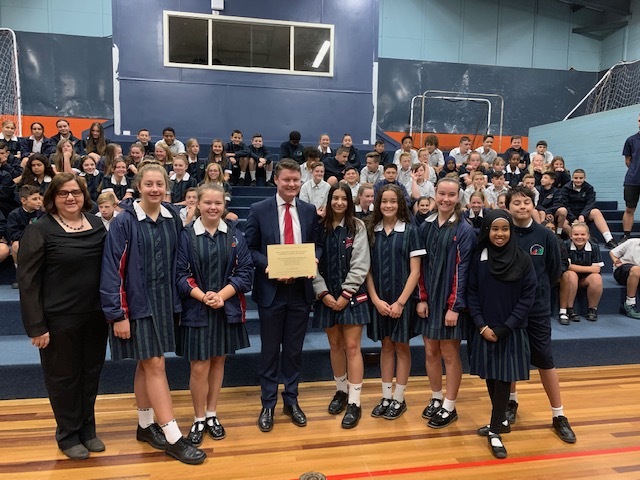 Information Session for all Year levels will be held at the Essendon Campus – 286 Buckley Street Essendon at 6.00pm.